[Hardware-CPU] AMD cutting deeply into Intel's market share ! | Promo2day [Hardware-CPU] AMD cutting deeply into Intel's market share ! [Hardware-CPU] AMD cutting deeply into Intel's market share ! Why it matters: AMD's Ryzen desktop and mobile CPUs and their EPYC server CPUs have continued the momentum they began gaining in 2017. The release of market share data from 2018 shows that AMD's market share across all three segments is the highest it's been since at least 2014. With new releases and new architecture right around the corner, AMD looks positioned to continue to take market share from Intel, and increase the size of their footprint across the CPU space. With AMD on the precipice of releasing next-gen Ryzen CPUs, market share statistics unveiled this week show that current-gen Ryzen and EPYC chips have already made significant gains in the server, desktop, and mobile spaces. Since Q4 2017, AMD's server market share has increased four-fold, from 0.8 percent unit share to 3.2 percent unit share in Q4 2018. This can be attributed to the rise of the EPYC line of server CPUs, AMD's first major server release since Opteron in 2003. Both desktop and mobile segments also saw significant lifts in year-over-year market share, with desktop climbing to 15.8 percent on the back of the Ryzen 2000-series CPUs released in 2018. AMD's mobile processors more recently hit the market, but have seen growth in adoption by major brands, with Dell, HP, and Lenovo all adding Ryzen-powered laptops to their 2018 lineups. This has resulted in an impressive 12.1 percent unit share for notebooks. All three of these segments are enjoying their highest market share levels since at least 2014, with notebook share not reaching this level since 2013. 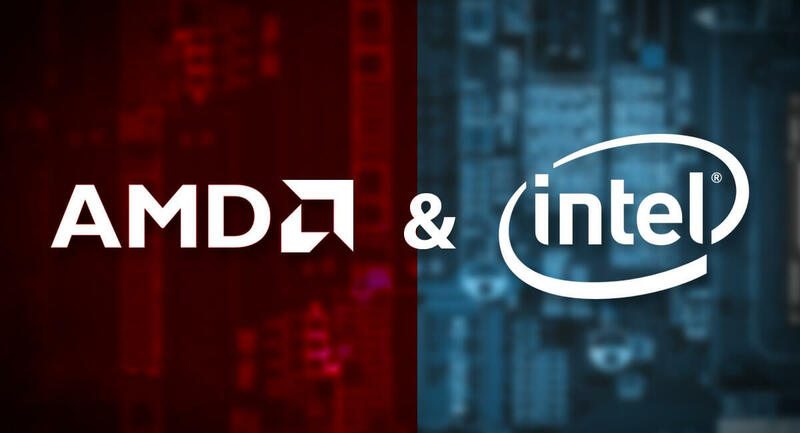 After essentially being dormant for five years, AMD finally has given Intel significant competition on these fronts. AMD still has a long way to go to climb back to equal share with Intel, a position is hasn't enjoyed since the second quarter of 2006. Third-gen Ryzen processors are right around the corner, with an expected release date of mid-2019. The flagship Ryzen 9 3850X is rumored to offer 16 cores and 32 threads running at 5.1 GHz with a price tag of only $499, while other Ryzen 3000 offerings will directly compete with Intel's 9th gen CPUs at significantly lower costs. Supposedly, the entry level Ryzen 3 3300 will pack six cores and 12 threads for only $99. If true, that's the same core and thread count as the 8700K for roughly a third of the price. The first two generations of Ryzen have been wildly successful, offering a price-to-performance proposition that is significantly better than Intel's. While the raw performance of Ryzen has thus far lagged slightly behind, AMD has been able to make high core counts affordable for mainstream users, and as a result has begun to win back significant market share. If the rumors surrounding Ryzen 3000 prove true, AMD will turn up the pressure on Intel even further, and likely continue to make gains in the desktop market. On the server side, Opteron should be used as a cautionary tale for the future of EPYC. Opteron burst out of the gate in 2003, capturing 22 percent market share from Intel's Xeon between 2003 and 2006 before stagnating. Xeon received iterative, generational updates for the following decade, while Opteron was largely neglected by AMD and fell further and further behind. Server share bottomed out at only 0.6 percent in 2016 before the release of EPYC. Next-gen EPYC, code-named Rome, is on the horizon and using a 7 nanometer manufacturing process. Rome promises to bring better efficiency, more cores, and higher clocks, and threatens to take even more server share from Intel. Intel's former CEO Brian Krzanich told Barron's in mid-2018 that Intel would not lose server share to AMD in the second half of 2018, and Intel's job was to not allow AMD to capture "15-20 percent market share." The way AMD is trending, 15 percent share in a few years' time seems like a distinct possibility. AMD's emergence as a player in the CPU space in 2019 has wide-ranging benefits for consumers, and as long as they continue to threaten Intel's market share, the prices and products from both companies will only continue to improve. Now if only AMD could start making the same gains against Nvidia on the GPU side of the business. Current time: 04-21-2019 , 05:14 AM Powered By MyBB, © 2002-2019 MyBB Group.